Part of the Stockholm Studies in Culture and Aesthetics series. The aim of this collection is to make possible the forging of a more robust, politically useful, and theoretically elaborate understanding of working-class literature(s). These essays map a substantial terrain: the history of working-class literature(s) in Russia/The Soviet Union, The USA, Finland, Sweden, The UK, and Mexico. Together they give a complex and comparative – albeit far from comprehensive – picture of working-class literature(s) from an international perspective, without losing sight of national specificities. By capturing a wide range of definitions and literatures, this collection gives a broad and rich picture of the many-facetted phenomenon of working-class literature(s), disrupts narrow understandings of the concept and phenomenon, as well as identifies and discusses some of the most important theoretical and historical questions brought to the fore by the study of this literature. 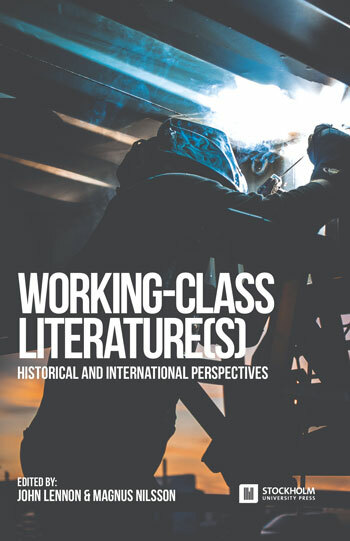 If read as stand-alone chapters, each contribution gives an overview of the history and research of a particular nation’s working-class literature. If read as an edited collection (which we hope you do), they contribute toward a more complex understanding of the global phenomenon of working-class literature(s). Malmö University has published a short interview (2 min) with the editor Magnus Nilsson about the book. View the interview on the SUP blog.